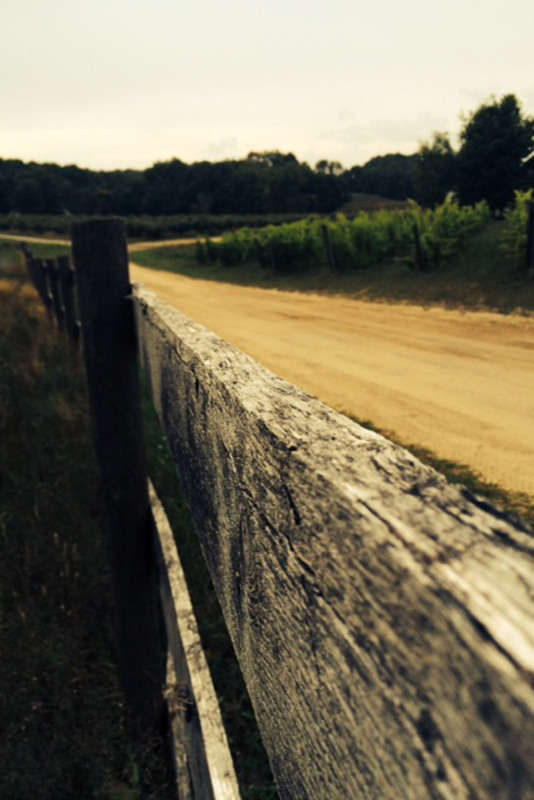 We are the only organic vineyard in Michigan. 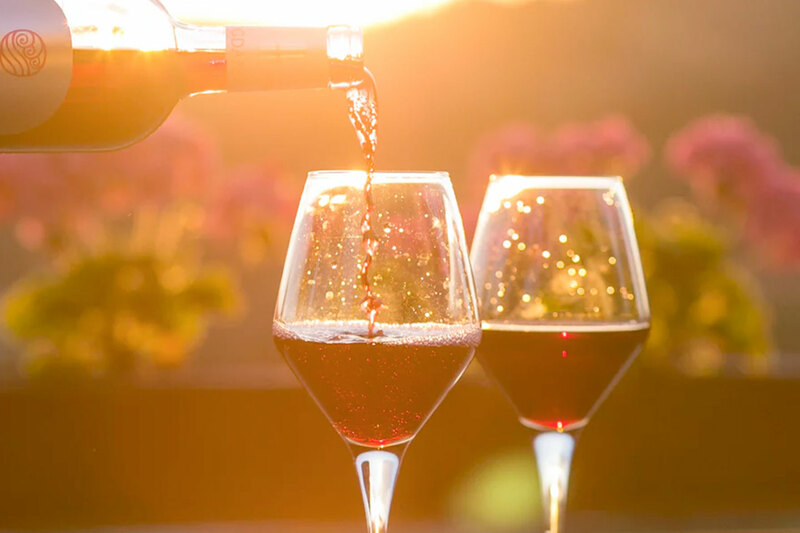 Come taste our fresh wine and cider, walk through our vines, say hello to our animals, and stay for an experience that you will not find anywhere. 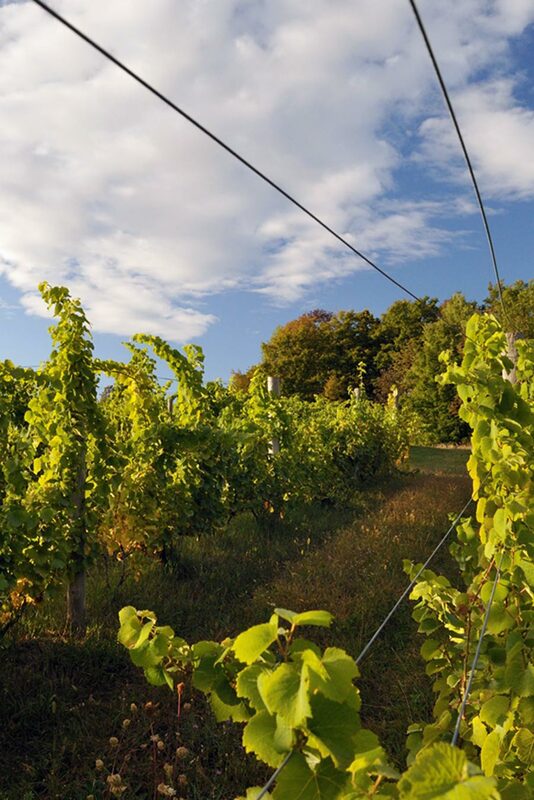 Once you turn onto Engles Road and wind through lush pasture to our farm, you will be transported to Leelanau County and Traverse Wine Coast's best-kept secret. The vineyard, the orchard, the farm animals, the wildlife, the forest, and our families are all one living organism that make up our farm. By using sustainable, integrated, organic practices, we are taking responsibility for the long term viability of the whole. We are neither waiting nor hoping for change, we are working to embody it. 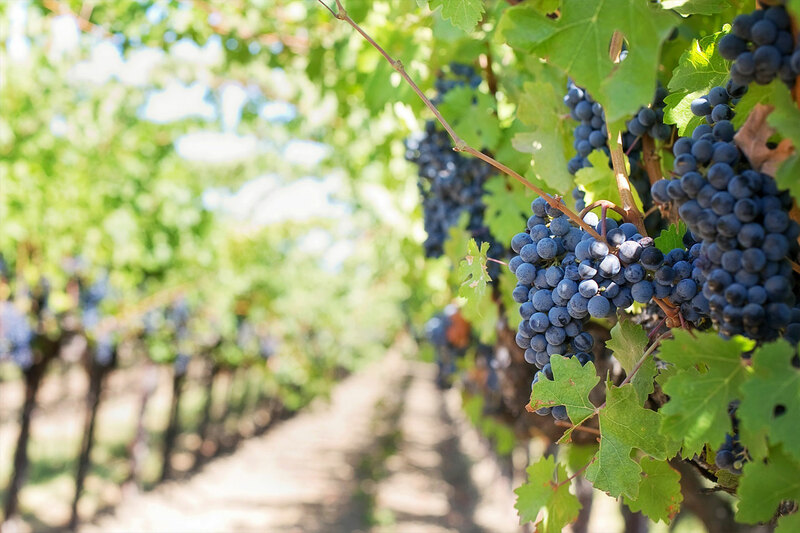 This hybrid varietal is complex with a pale purple color and hints of green and black pepper, dark raspberries with a fine tannin structure. Pairings: Sharp cheddar, braised meats, grilled pork, and even pizza. Local cherry wine aged in Merlot barrels giving it a dry structured finish. Pairings: light salads, grilled chicken or pork chops and grilled vegetables. Pale straw in color this light crisp wine has pear and apple on the nose and palate. With a touch of sweetness and clean finish it is sure to pair with pork, seafood and poultry dishes. This aromatic light bodied wine has rose petals on the bouquet and spicy notes of white pepper on the palate. Pairings: spicy cuisine & seafood dishes. The special hand selected blend of Chardonnay, Chardonel, Traminette and Vignoles gives this wine soft orchard fruit with a pleasant finish. Pairings: soft mild cheeses, creamy risotto, fish & poultry dishes. 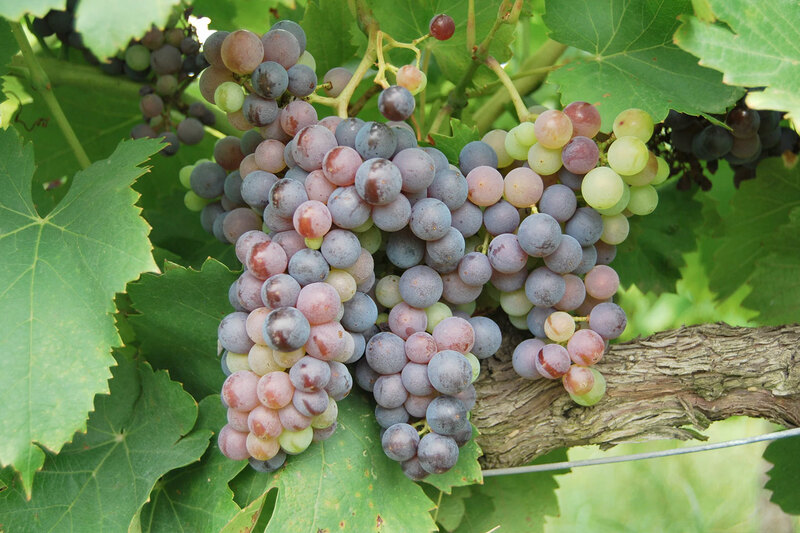 Our semi-sweet Riesling is layered with ripe orchard fruit and medium straw in color. This riesling has a medium acidity and packed with a green apple finish. Pairings: Cheese boards, Asian cuisine and even spicy barbeque. “The sweet” in Portuguese, a blend of our white varietals fortified to a smooth dessert wine with sun dried apricot on the nose and full round lingering finish. Pairing: Dessert cheese boards, Gorgonzola, spicy charcuterie and creme brulee. Our beer is small batched brewed, come have a pint or fill a growler. The line up will vary throughout the season but will always guarantee to satisfy your need for a tasty brew. Blended with Noiret and aged in Merlot barrels. This dry style cider is sure to please on a hot summer day. Our lightly sweet cider is fruit forward with farm fresh fuzzy peaches and apples. Enjoy on the beach, as a mimosa or grilled pork tenderloin. Our 2012/14 medal winning Ciderye, smooth cider aged two years in rye whiskey barrels and blended. A soft sipping delectable to be enjoyed on the rocks, straight up or warmed in a brandy glass. Enjoyed best by a warm fire and company. A smooth cider aged with oak stave and Gin botanicals. Great with tonic, straight up or on the rocks. Coming soon by the end of the 2018 season. We follow a holistic approach to carrying for and managing the land. Rather than using conventional methods, such as strictly foliar feeding and using synthetic chemicals, we opt to amend the soils with nutrient rich compost and fish fertilizer. Our foliar feeding and pest management is done using natural methods such as neem oil, seaweed, probiotic culture, fermented herbal teas, and kaolin clay. We believe by following these practices we have a more symbiotic relationship between us, the earth, and the fruit it provides. 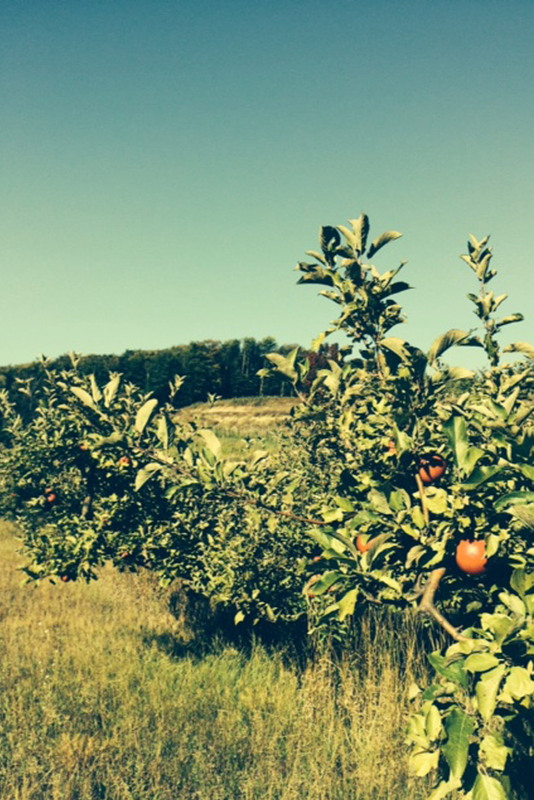 We are Michigan's only certified organic vineyard, orchard, and winery. 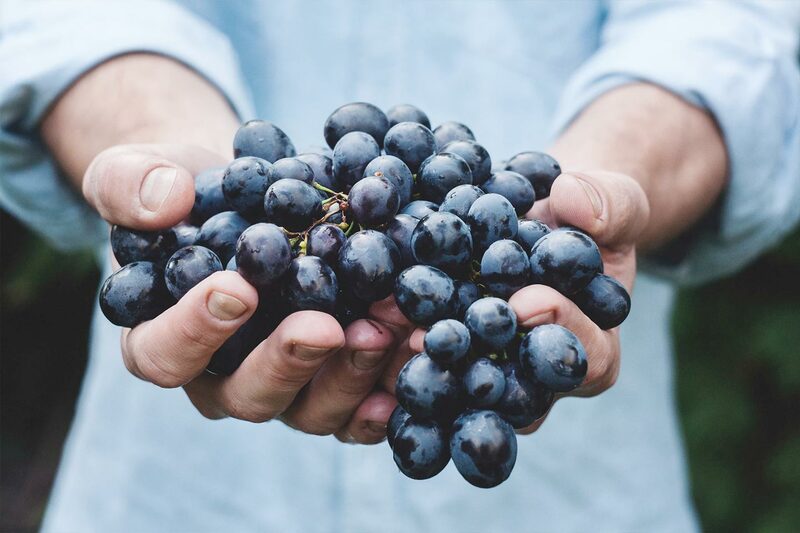 Green Bird Cellars and Organic Farms is annually inspected and certified by Indiana Certified Organic (ICO) LLC, which is licensed by the USDA. We are two friends following our passion to make quality handcrafted products all while staying committed to organic practices and sustainability. We are grateful to part of the fine community of folks that are bringing the farm to glass experience to Leelanau County. Our free-spirited, charming atmosphere will serve as a classic venue for your wedding, vow renewals, family events, dinner parties and more. Say "I do" surrounded by a field of enchanting lavender, nestled in our magical fairy woods, or next to our serene pond. We welcome you to take advantage of our picturesque setting to personalize the day of your dreams. We can accommodate small groups of 25 to larger events up to 100+ guests. If you would like more information, or would like to schedule a site tour, please feel free to email or call us. Please contact us at the tasting room for shipping details. Arizona, Arkansas, Delaware, Kentucky, Massachusetts, Mississippi, Montana, Oklahoma, Rhode Island, South Dakota, Utah, Vermont. Stay tuned for mid-March opening date! Website Created by Morton Media Inc.